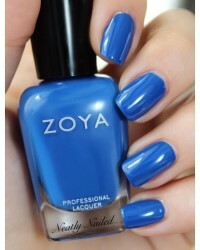 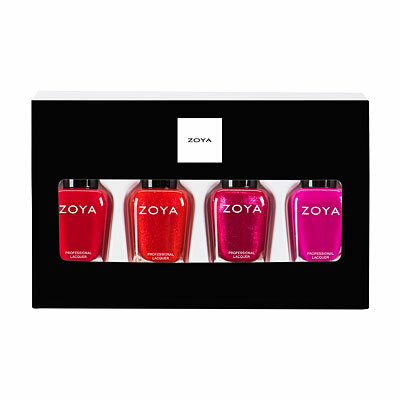 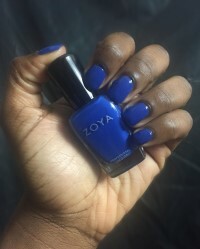 Sia by Zoya can be best described as a true, royal blue cream. 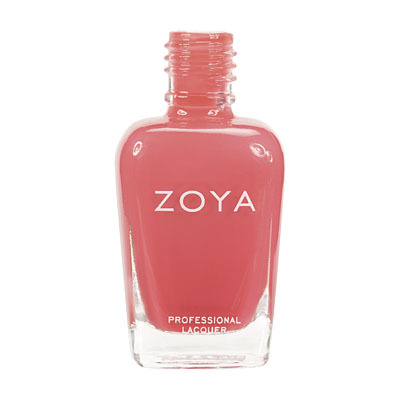 Please note: This is a highly pigmented shade. 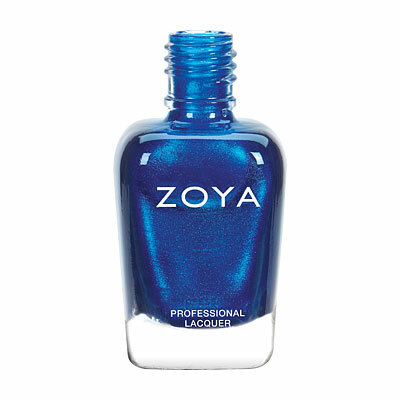 Make sure to apply a base coat to prevent staining. 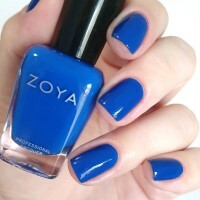 This is a beautiful Royal blue cream that`s opaque for me in one coat. 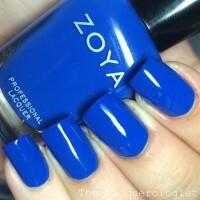 Which I love! 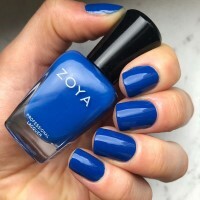 If you do thinner coats or are really picky then you might have to do two. 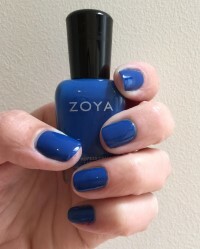 I love this polish and it`s one of my favorites!